A Master of Laws in Taxation (LLM) and Master of Taxation (MT) are two advanced degrees focused around taxation principles and policies. Candidates should consider the key differences between these two degrees when deciding which master’s program may better match their interests and needs. The LLM in Taxation program’s legal focus is tailored to law school graduates and practicing legal experts, as a Juris Doctor (JD) from an accredited law school is required. Professionals who could benefit from this degree program include established attorneys and law school graduates who want to specialize in taxation law, private practice lawyers who typically encounter taxation issues, and corporate lawyers who regularly work with accounting professionals. In contrast, the MT program is suited for business professionals and experienced accountants who want to improve their knowledge of taxation matters or move into training roles or advanced positions within their organizations. As the LLM and MT degrees target candidates with different specialties, different qualifications are mandatory. LLM applicants must have a Juris Doctor degree from a U.S. law school or the qualifications necessary for practicing in an international location. MT candidates must have a baccalaureate degree in accounting from an accredited institution. In addition, MT candidates must have passed the Certified Public Accountant (CPA) exam or have Graduate Management Admission Test (GMAT) or Graduate Record Examination (GRE) scores received within the last five years. 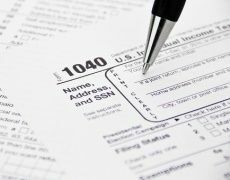 Several universities, including Villanova University, also prefer candidates with at least one year of professional tax experience. At Villanova University, an LLM in Taxation degree program can be completed in as few as 18 months, 100% online. Meanwhile, professionals can graduate with an MT degree in as few as two years, 100% online. Program completion time will vary depending on each candidate’s existing qualifications, experience and personal circumstances. LLM in Taxation and MT degree candidates study many of the same topics, including Taxation of Corporations and Shareholders, Professional Responsibilities in Tax and Research & Writing, and Partnership Taxation. However, MT students study these topics along with required specialization courses such as Employee Benefits and Executive Compensation. At Villanova, LLM students have the ability to choose a number of elective courses. This flexibility allows LLM students to tailor their study interests to their own careers and professional requirements. Since candidates come from different disciplines, the LLM in Taxation and MT will lead to different career choices for candidates. Top Universities notes that the LLM in Taxation, for example, can help lawyers cultivate a specialization. According to Learn.org, MT graduates often work as certified public accountants, certified management accountants, auditors, tax collectors, tax associates, industry managers, revenue agents or tax examiners. While Study.com states this degree is not required for many of these qualifications, the educational opportunity may help candidates secure work in prestigious organizations and government agencies, such as the Internal Revenue Service. When deciding which degree to pursue, the most important question to ask is, “Do I have a JD?” If yes, you are an LLM candidate, and if no, you are eligible for an MT. Some additional questions to consider might include: What are my professional career goals? Do I want to use the degree program to pursue a specialty? How much time do I have available to devote to the program and its course of study? What career opportunities could be available to me if I had one of these degrees? Use these questions and the information presented here to help you decide which degree program would complement your career experience and professional interests.